My three-legged dog taught me perseverance and patience, as well as having some sympathy for the physically challenged. President Donald Trump does not own a dog. He doesn’t have a pet of any kind. My theory is that by not caring for, or about, a pet, he has been slighted when it comes to the development of his sensitivity, his humanity and his character. The fact that almost all of our presidents, going back to Franklin Roosevelt’s beloved Fala and beyond, have had pets has linked our leaders to the people. It helps us relate to one another, on a common level, even though our stations in life are poles apart. I am a dog person, but there are cat, rat, raccoon, bunny, hamster and horse people. There are also parrot, turtle and fish people (and I apologize for any other common pets I have omitted). It’s possible that the president’s inclination to not have a pet in the White House could stem from his childhood upbringing. Maybe his parents didn’t have time or place for pets. I would not trade my experiences with pets for his money without them. Take Jeff, my first canine companion, a black and white cocker spaniel with three working legs, who ran as fast as all the other dogs in the neighborhood. Jeff would sit in the front room and stare at a single goldfish swimming in a clear glass bowl for an hour at a time. He taught me perseverance and patience, as well as having some sympathy for the physically challenged. Then, at about age 20, came the English setter that saved my life. He also belonged to my aunt and uncle, who raised me from age 7. His name was Bosco, and he was a handsome dog, brown and white, and very loving. I had been away from home in the U.S. Air Force, learning to become a radar instructor. I came home on leave from Denver, Colorado, and drove straight through to Menlo Park, California, to see Ed and Nadine. After a few hours visiting, I told them I had been invited to a dance up in Napa, and, for some strange reason, I asked them if I could take Bosco along. They said yes, and after being awake for about 36 hours straight, drove to the dance, saw old friends and drove back down south. About 10 miles from Menlo Park, I fell asleep at the wheel and woke up with Bosco licking my face furiously. I opened my eyes to see a semitruck just ahead of me and was just able to pull around him. Bosco saved my life, and his. I learned that life is precious and that dogs can be prescient! I must skip many other dogs in my life as this will get too wordy, but I must mention Robbie, a West Highland terrier, the most handsome dog we have ever had. He was the perfect dog, given his even temperament and stoicism. He taught me how to properly view life. He told me through his behavior to love people and other animals. President Trump, I honestly feel sorry for you. You have tremendous material achievements but lack the experience of sorrow in losing a beloved pet. You can’t feel the reciprocal and total love, and the knowledge of teamwork, that comes from the need to feed and care for something other than yourself. Now that’s sad. 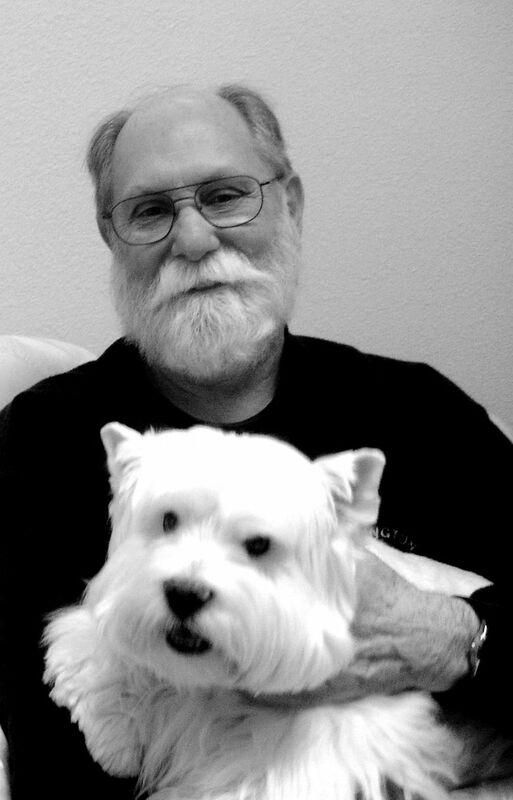 Don Rogers retired to Camano Island, having been a high school teacher in Silicon Valley.